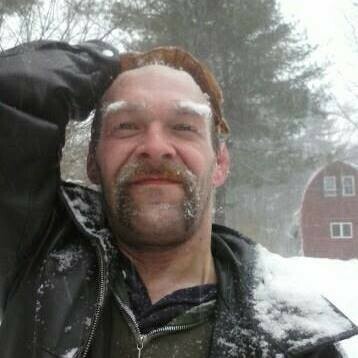 Brendan Ward Vittum, 43, of Byfield Mass., died November 26, 2016, at Massachusetts General Hospital in Boston. Death was a result of internal complications from a lifelong struggle with dystonia. Brendan was born on April 28, 1973, in Middlebury, Vt., to Kristine Knapp Vittum and Nick Vittum. He was predeceased by Kristine and is survived by his father; two sisters, Larissa Vittum of Boston, Mass., and Mary Angelina Vittum of Burlington, Vt.; and his brother and his sister-in-law Gabriel John and Jessica Vittum, and their children, Jason, Dashiell and Scarlett, all of Waterville, Vt. He is also survived by his maternal grandparents, Bill and Barbara Knapp of Bainbridge Island, Wash., and various aunts, uncles and cousins on both sides of his family. Brendan grew up in Hubbardton, Vt., and Ipswich, Mass. Although his mobility was limited and he used a wheelchair, he was never confined by it and loved to travel. At various times (and among other places) he lived in Montgomery, Vt.; Burlington, Vt.; Ipswich, Mass. ; and Bainbridge Island, Wash. He traveled the country from one end to the other and back again by Greyhound bus. He was highly skilled in computer work and was known for his technical skills and web design. He was also immensely fond of music of many genres, but Irish music in particular. A memorial celebration will be held Tuesday, January 3 at 2 p.m. at the Quaker Meeting House, 173 North Prospect St., Burlington. Those who wish to contribute to the Brendan Vittum Memorial Fund may do so at gofundme.com/brendan-vittum-memorial-fund. Proceeds will go toward research and treatment of dystonia musculorum deformans, a rare neurological disorder that Brendan lived with every day of his life.